With three, yes three colors to choose from, this high quality, backlit illuminated keyboard from Modtek features the ability to switch your display between blue, red and purple keyboard illumination. 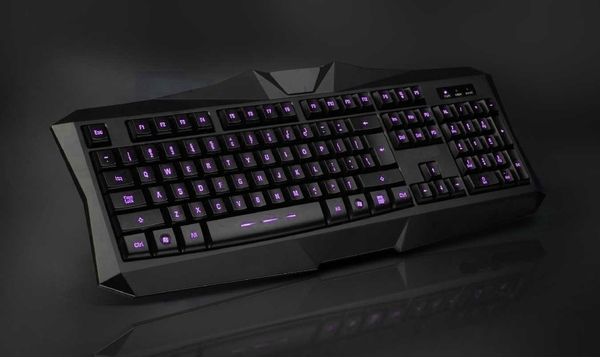 With a sharp design, easy to read and responsive keys, built in wrist rest and more, you'll love using this keyboard…whether it's for late night gaming, or you just have vampire tendencies. It's sleek finish, long cord and silky smooth keys will surely impress, as will the subtle, yet powerful glow from the backlit keys. Note - To switch colors, press the Esc key while holding down the Function (Fn) key.